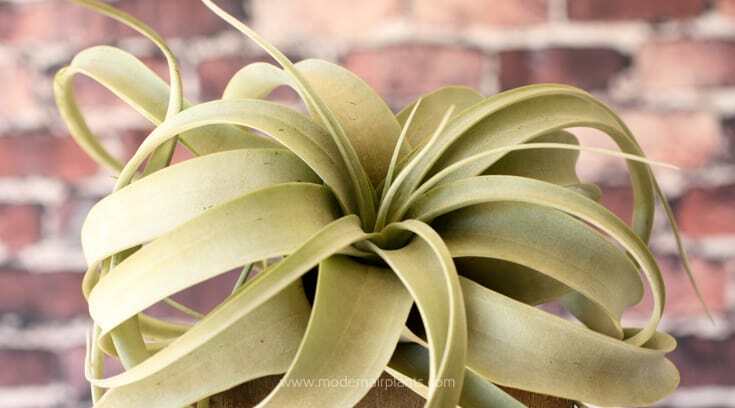 Air plant design is an exercise in creativity because the plants are so versatile and the results are so rewarding. 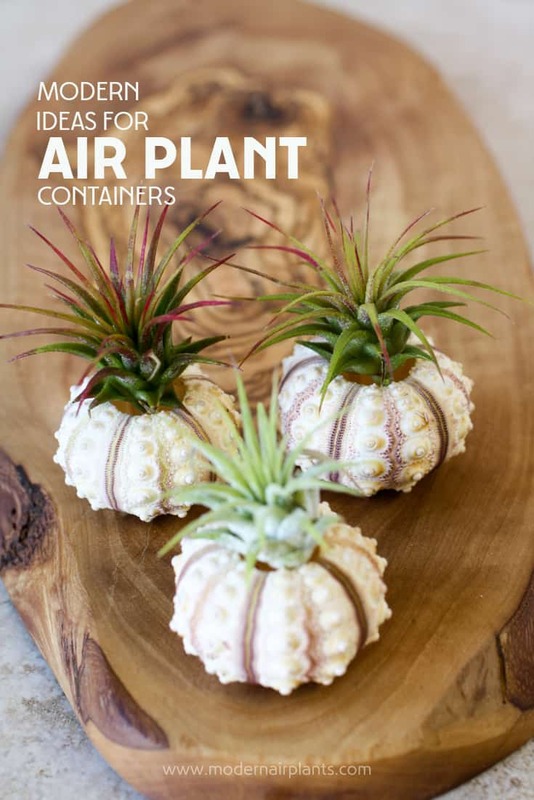 Choosing containers for air plants is so fun because air plants are not limited by the same constraints as other plants. Their soil-less-ness (is that a word?) makes them amazingly versatile. 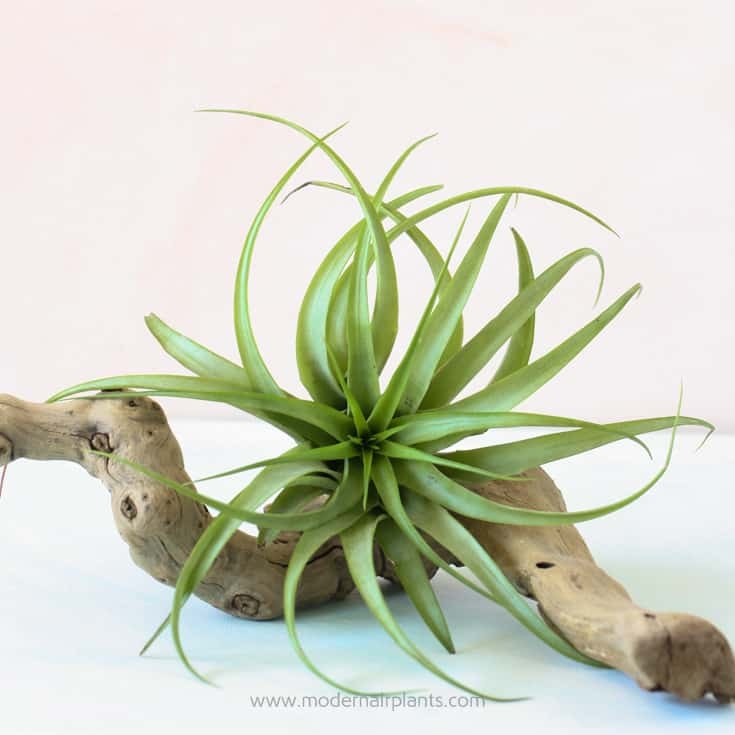 You can’t get any simpler than this little wooden bowl filled with dried Tillandsai usnedoides (Spanish moss), a tall, upright Tillandsia juncea and a tiny Tillandsia ionantha, yet it totally works. My sister brought me this lovely hand painted pottery bowl from Portugal. 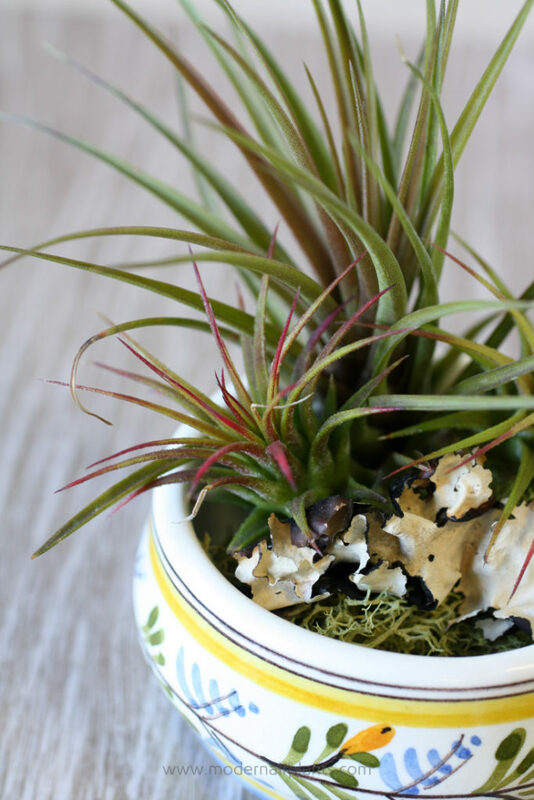 The bowl is just the right compliment for the Tillandsai ionantha ‘Fuego’ (left) and the Tillandsia tricolor v melanocrater (right) nested in a bed of preserved moss. This glass terrarium is beautiful and serene. 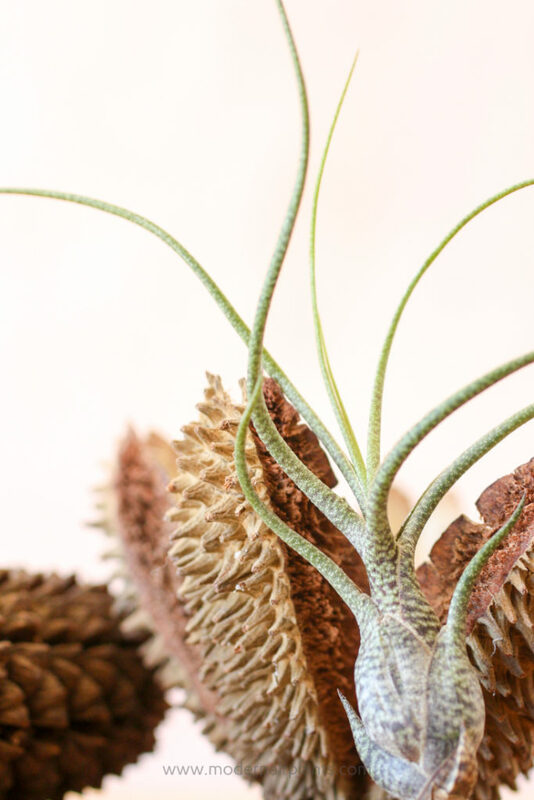 The vase is filled with sand then topped with the sculptural Tillandsia caput-medusae and partnered with Tillandsai ionantha. 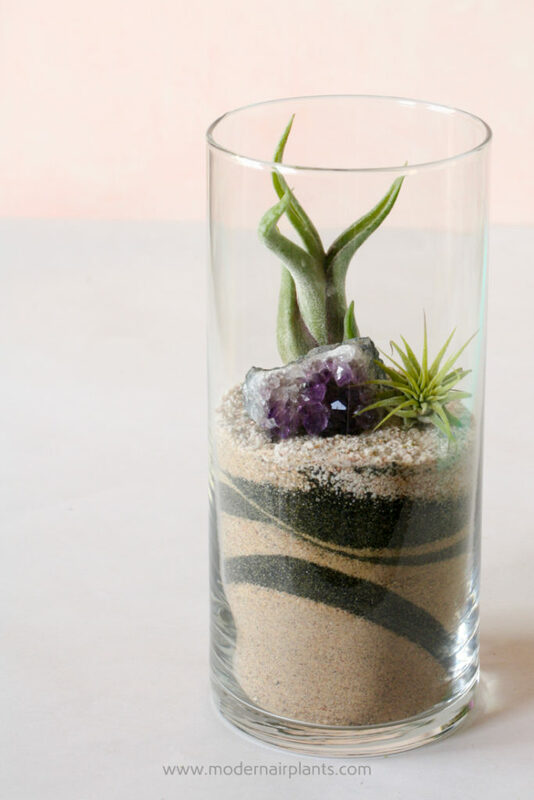 The amethyst ties the terrarium together to create a peaceful ambiance. This Tillandsai butzii looks great resting against the prickly texture of this seed pod. This small piece of grapewood displays this green abdita, but a large piece could display several plants. 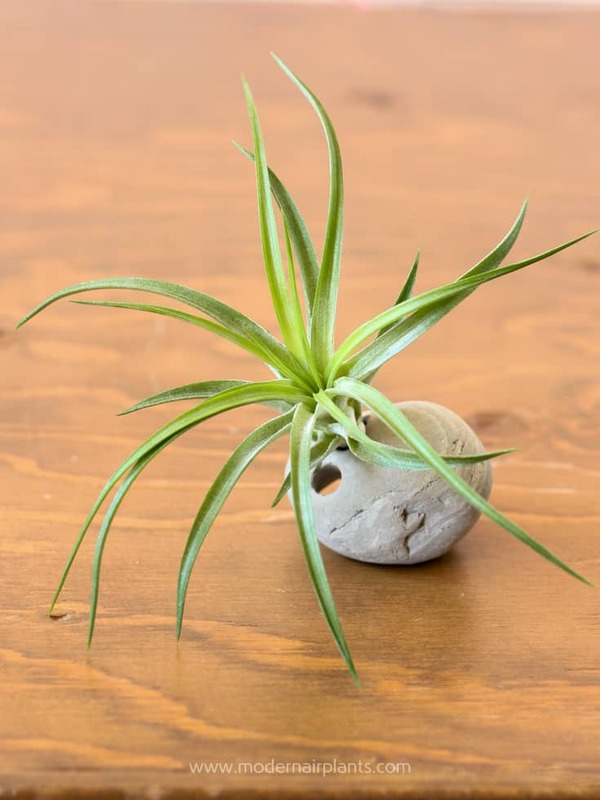 A rock can serve as both an air plant container and a reminder of a fun outing with loved ones. 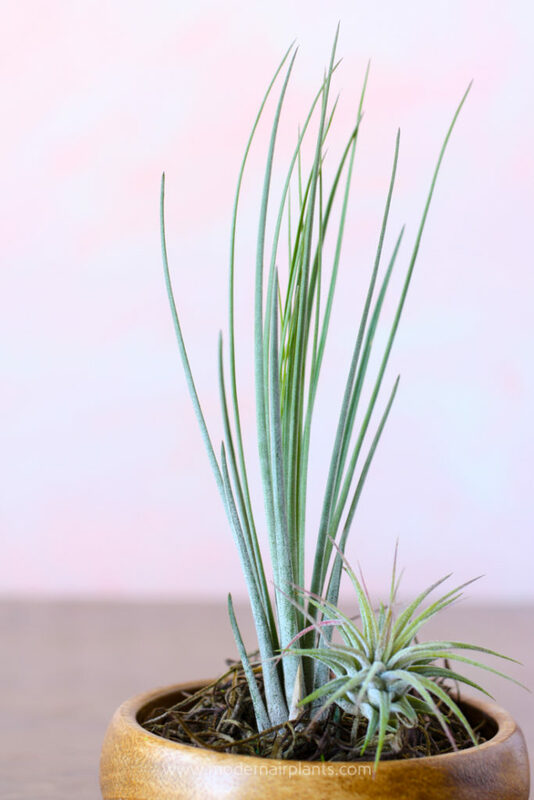 Accented with these brightly colored measuring bowls, this candlestick holder give height to this mini Tillandsia xerographica. 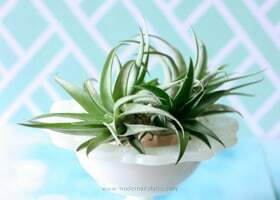 Ceramic measuring cups show off this mini T. xerographica. 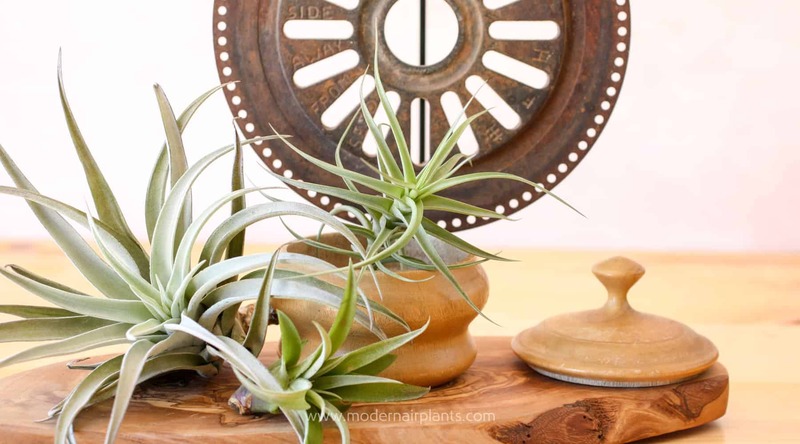 Your imagination really is the limit for creating air plant displays. 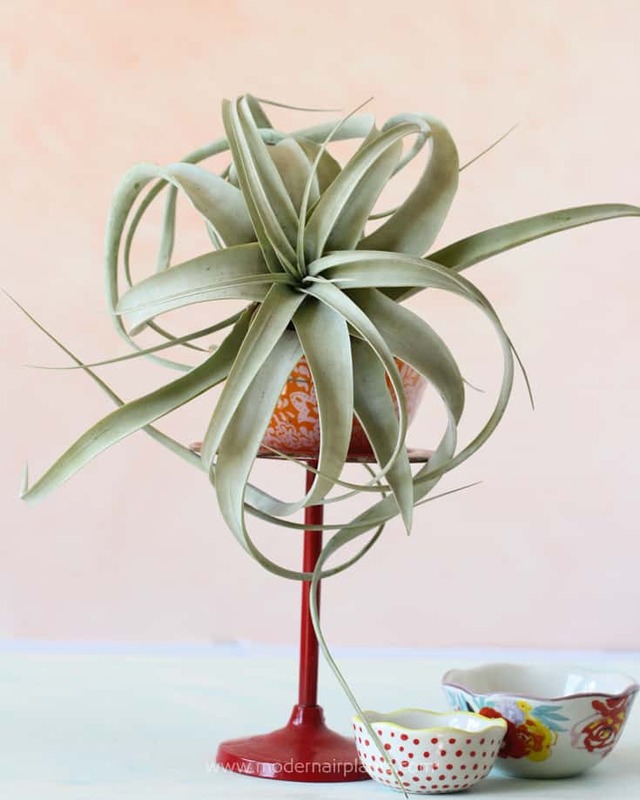 When it comes to air plants, the term container really is a bit of a misnomer. 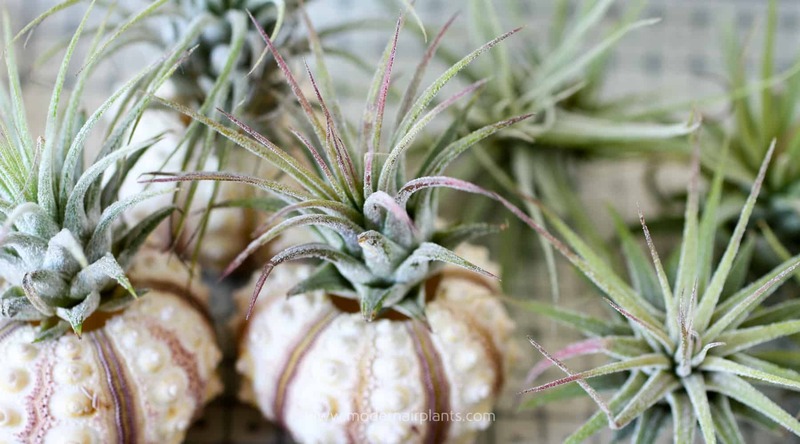 Rather than a container, tillandsias require more of a display platform. 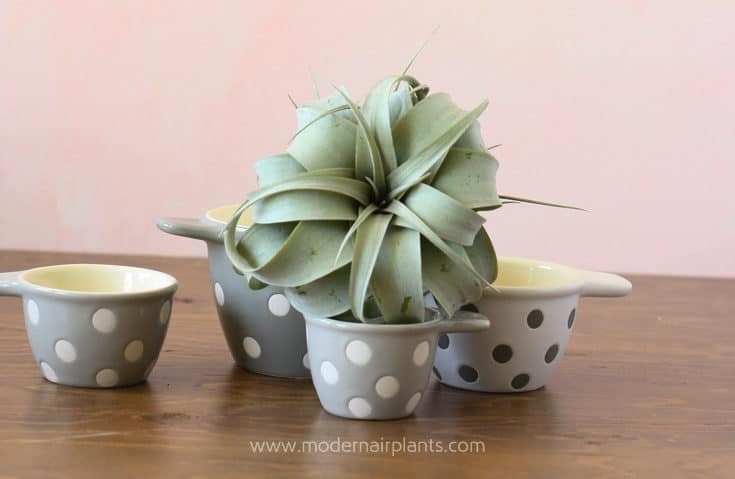 Go on a treasure hunt around your home discovering air plant ‘containers’ you never knew you had! 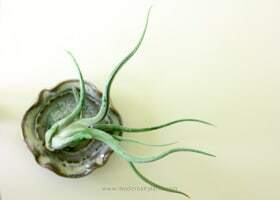 I couldnt help learning more about air plants, I have mastered cactus and succulents, but my two green thumbs can’t wait to get into learning about all plants. I have found lots of great tips and ideas just reading over some of your tips and ideas, and cannot wait to continue to do so. It was great to hear from you. 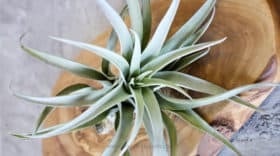 Air plants are lots of fun! Congratulations on your new interest and on adding these versatile plants to your repertoire. 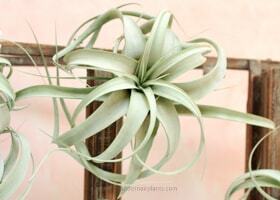 I have found that air plants grow well indoors as long as you can provide them with bright, indirect light. 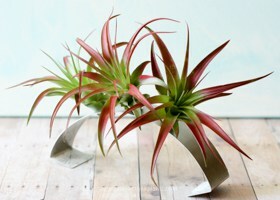 As air plants do not use soil their display possibilities are endless.